Coca Cola anunció la semana pasada que subirá el precio de las bebidas gaseosas y el director ejecutivo de la empresa, James Quincey, puso parte de la culpa en la guerra de aranceles impuesta por Trump. While Coke may be looking into the potential of marijuana-infused health beverages for pain relief, the company has no interest in helping consumers get high. The Coca-Cola Company released a statement on Monday following reports indicating that the beverage behemoth was looking into possibly infusing drinks with cannabidiol, a non-psychoactive component in cannabis commonly known as CBD. "We have no interest in marijuana or cannabis. Along with many others in the beverage industry, we are closely watching the growth of non-psychoactive CBD as an ingredient in functional wellness beverages around the world," the company said. What gets people high from marijuana is not CBD but tetrahydrocannabinol, the potent psychoactive chemical compound commonly known as THC. 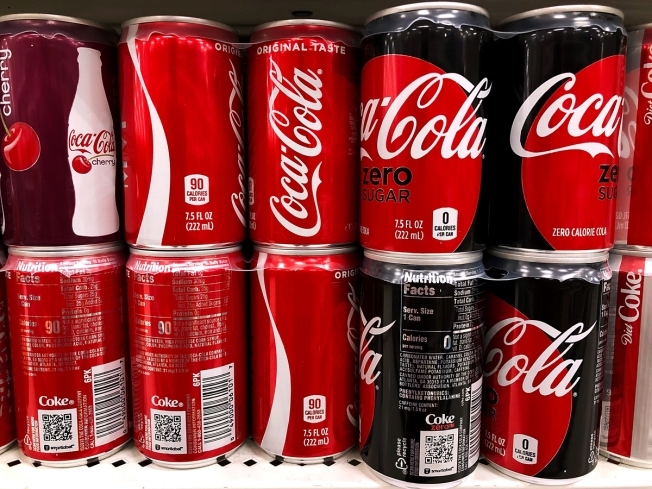 BNN Bloomberg first reported that Coca-Cola and cannabis producer Aurora Cannabis Inc. were engaged in talks to possibly develop health-focused beverages geared toward pain relief. Neither company has confirmed any plans. "The space is evolving quickly. No decisions have been made at this time," Coca-Cola's statement said. The report comes as more U.S. states move to legalize marijuana for recreational use and as Canada, where Aurora is based, prepares to fully legalize the recreational use of cannabis next month, CNBC reported. CBD advocates say the chemical compound can provide multiple health benefits, including pain management and treatment for seizures and neurological disorders. Despite the growing number of states legalizing marijuana for medical and recreational use, the federal legal status of CBD in the U.S. is still somewhat cloudy. Marijuana is currently a Schedule I drug under U.S. Drug Enforcement Administration guidelines, which means the agency considers it to have no accepted medical use and a high potential for abuse. But the DEA this year clarified that CBD did not fall under the definition of marijuana per the Controlled Substances Act, because the method to extract the compound would leave behind only trace amounts of illicit cannabinoids. And in late June, the U.S. Food and Drug Administration for the first time approved a prescription drug made from CBD to treat two rare forms of epilepsy.